A recent study reported something very impressive: A decade after the end of a randomized clinical trial, the benefits of dietary supplementation not only persisted, but seemed to be getting bigger. So why are we not hearing about this in the mainstream media? 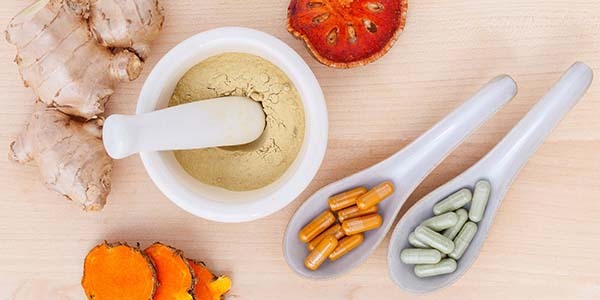 Despite the existence of thousands of studies proving the benefits of natural health approaches, it remains rare for the mainstream media to report on them. Nor does it usually either report on the successful recoveries of patients using such therapies. Ultimately, this is due to the influence of the pharmaceutical industry, which continues to ensure that the mainstream media is not an ally in our campaign for vitamin freedom. A recent exception to this media blackout occurred in early 2018, when the British media told the story of a 67-year-old woman, Dieneke Ferguson, who had battled myeloma, a deadly form of blood cancer, for years without success. After enduring three rounds of chemotherapy and four failed attempts at harvesting her stem cells for a transplant, Dieneke finally succeeded in halting the disease after ditching conventional approaches and using supplements containing curcumin, a phytobiological extracted from turmeric, instead. Significantly, not only was her story reported in several national newspapers in the UK, it also featured on primetime television. To learn about Dr. Rath’s Basic Cellular Health recommendations, comprising a selection of vitamins, minerals, amino acids, and trace elements that are based on groundbreaking preventive health research carried out at the Dr. Rath Research Institute, see the special feature page on our website.